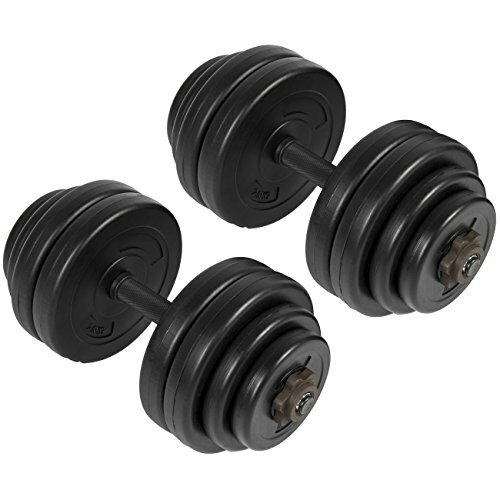 Add to your home weight collection with a dumbbell set perfect for both upper and lower body exercises. Complete with 2 weight adjustable dumbbells, this set will contribute to a balanced full body workout. Rubber grips allow you to comfortably experiment with new body building techniques and screw caps let you break them down for effortless storage. For the fitness results you're working toward, there's no better investment!